From the last couple of months, we have been coming to know about different leaks about the Xiaomi Redmi Note 5. The Xiaomi’s Redmi Note 5 is a successor to the companies Xiaomi Redmi Note 4. 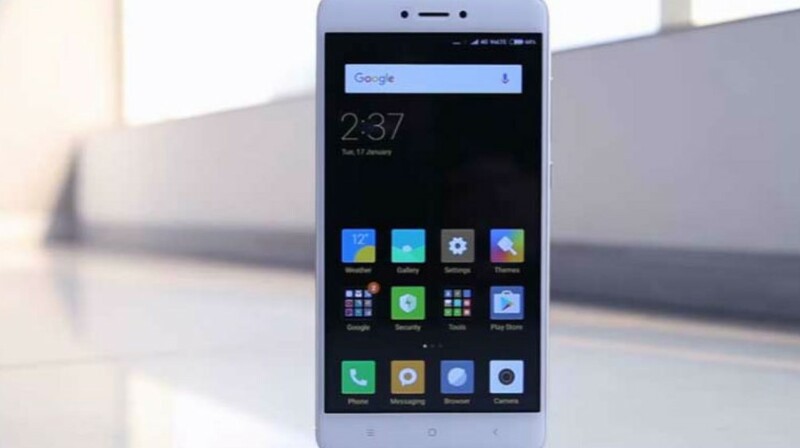 Talking about the Xiaomi Redmi 4 the company has launched the smartphone in the Indian market in the month of January 2017. Also over the year, the company has sold more than 3 millions of smartphones. Also, the company has claimed that they have not received any negative feedback about the phone. However, as it’s a new year and all the companies are going to set some new trends. It seems like Xiaomi too planning something good for its Redmi Note 4 Successor. Earlier there was a rumour that the smartphone might launch in the month of January. Just like the way Xiaomi Redmi 4 was launched. However, as time has passed there were not any strong leaks about the launch date. Instead, we have come across to a new rumour about the Xiaomi’s Redmi Note 5 launch date. According to the recent reports, the company is planning to launch the smartphone earlier in the second quarter of 2018. However, there is no such info if Xiaomi is going to launch the smartphone in China only or they will launch it globally. Apart from the launch date, we have also come to know about the upcoming Xiaomi smartphone’s specification. Talking about the Xiaomi’s Redmi Note 5 specifications, well it is rumoured that under the hood the Redmi Note 4 smartphone going to be powered by the Qualcomm Snapdragon 632 soc. For a quick info, the smartphone chipset maker Qualcomm has not launched the processor yet. So we might see the launch of the Snapdragon 632 soc at first. Then we may get to see the launch event of the Xiaomi’s Redmi Note 5. Or maybe we will see both of the things are launching together. Also if we talk about the processor, then there was a rumour that the Xiaomi’s Redmi Note 5 will be powered by the Qualcomm Snapdragon 636 processor. However, it seems like it is not going to happen. The recent reports also suggest that the Xiaomi Remi Note 5 might be a bit slower as well as we are going to get a lower clocked GPU. However, the Snapdragon 632 is expected to retain the 14-bit Qualcomm Spectra 160 image signal processor. The Snapdragon 632 can support dual camera setup and can improve low light enhancement. Apart from the chipset, we are going to see the same specs as the Xiaomi Redmi Note 4. We may be going to see the same 5.5 inch display on the top. Under the hood, the phone might equip 4GB of RAM and 64GB of internal storage. However talking about the display, we might get to see an 18:09 aspect ratio on the top. Also, there was another rumour, or you can call it a leak. The leak was posted on the Company’s MIUI forum. According to the leak, Xiaomi is going to drop the note series. Instead, they will be launching the Xiaomi Redmi 5 Plus. However, we do not have any idea, if the company is going to drop the series or not. But it is expected that the Xiaomi new smartphone which is the Redmi 5 Plus or Redmi Note 5 will be priced quite higher than the Xiaomi Remi Note 4. Last year the higher end version of the Xiaomi Redmi Note 4 was priced at Rs.12999. However, for the Xiaomi Redmi Note 5, we might get to see a price tag of Rs.15999 in India. However again we do not have any authentic confirmation about all these information that we are listing over here. Coming to the camera part, well for a really long time there was a doubt about we are going to see a dual camera setup on the smartphone or not. However, as time is passing things are getting clear. For the Xiaomi’s Redmi Note 5 the company is planning some upgrades. This time we are going to see an 8 megapixel camera on the front panel of the device. For the back panel, the company is planning to equip a dual camera setup. The dual camera setup is going to be powered by two 12 megapixel camera. Also, there will be a flash along with it. However the company is not planning to ship the smartphone with the latest Android version which is the Android Oreo, instead, the smartphone will come with Android Nougat along with the company’s own UI which is the MIUI 9 out of the box. Also, it is said that there will be two different variants of the smartphone, one of them would be a 3GB of RAM and 32GB of internal storage and another one would be a 4GB of RAM and 64GB of variant as mentioned above. Also, there will be a little smaller battery when compared to the Xiaomi’s Redmi Note 4. The Xiaomi Redmi Note 5 is expected to feature a 4000mah of battery. Where the company has launched the Xiaomi Redmi Note 4 with a battery of 4100mah. Also, there are no such rumours if the smartphone is going to support fast charging or not. Like the Xiaomi Redmi Note, 4 did not support fast charging so maybe the company might add the fast charging support for the company’s upcoming Xiaomi Redmi Note 5 device. Also as far as the recent news concerns, the company is done with Redmi Note 5 manufacturing. However, they are not going through some internal testing. So once they are done with all the testing the Chinese manufacturer will be launching the device. However, there is also a question if the company is going to launch the smartphone in China only or globally. However, as we have seen in the past that each year the company introduces to a new Note series smartphone hence there is a possible chance that the company might launch the smartphone globally. Anyway, before we end this article let’s just look at the rumours once again but in a quick way. So here is a list of all the expected features that we are going to see in the Xiaomi Redmi Note 5. First of all, the screen size is expected to be 5.9 inches. 18:09 is also expected on the top of the smartphone. Under the hood, there will be a Qualcomm Snapdragon 632 processor. There will be two different variants, one of the is the 3GB/32GB variant another one will be that 4GB/64GB variant. The smartphone will feature a dual camera setup at the rear which will be powered by two 12MP cameras. On the front, there will be an 8MP camera for selfies. The smartphone will sport a 4000mah non removal battery. It will run on Android Nougat. So that was all for the Xiaomi Redmi Note 5. The information listed on this website is not accurate or we have collected them from some authentic source. Instead, it is a collection of all the rumours that we have seen till now regarding Xiaomi’s Redmi Note 5. Also if you have any doubt you can comment below.